Every woman should have an LBD (Little Black Dress) in her wardrobe. They’re a staple for any season and are so easy to wear in many different ways. 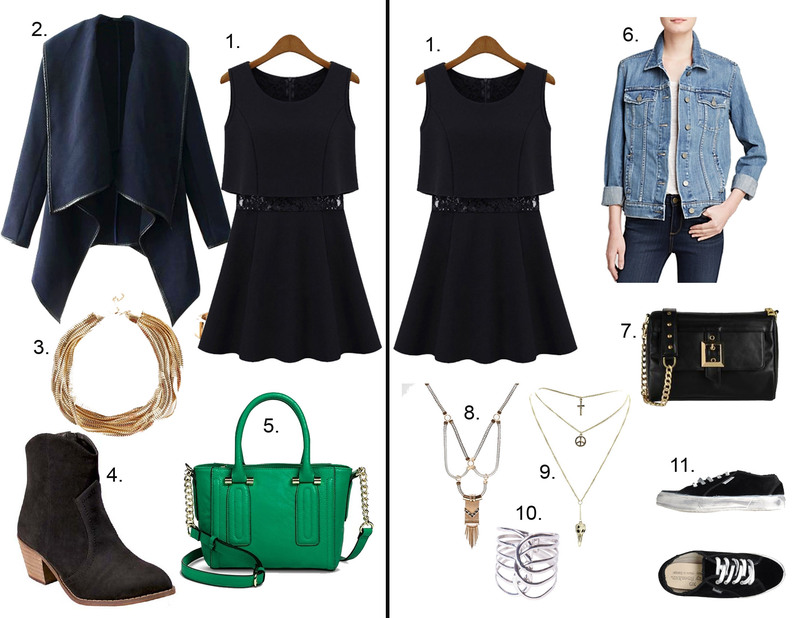 Here are two completely different ways to wear a cute LBD. This LBD is double layered with a flared skirt and top. I love that this dress is so forgiving around the middle section. One look is perfect for a chic night out. The other is great for a casual day, complete with comfy sneakers and some slivers of jewelry. Click below for details on where to get the outfits.